I've been a long time user of Wacom graphic tablets as part of my editing workflow. Making selections, painting a mask, and many other operations are not only more intuitive with a pen, but you have much finer control than you do with a mouse or a trackpad. Until now, the Intuos4 Bluetooth tablet has been what I considered to be as close to perfect as you could get. Used either left or right handed, I can have it plugged in via USB or use with Bluetooth when traveling or when I need to be a bit further from the computer, as when I'm teaching a workshop. When Wacom announced the Intuos5, I was curious as to what could possibly be improved upon from the current model, so I was anxious to take a look. The Wacom Intuos5 comes in four models: Small ($229.95 / £199.99), Medium ($349.95 / £329.99), pen-only Medium (£269.99) and Large ($469.95 / £429.99). Each Intuos5 can be extended with the Wacom Wireless Accessory Kit priced at $39.99 / £34.99. The first obvious change is in the packaging (Figure 1). 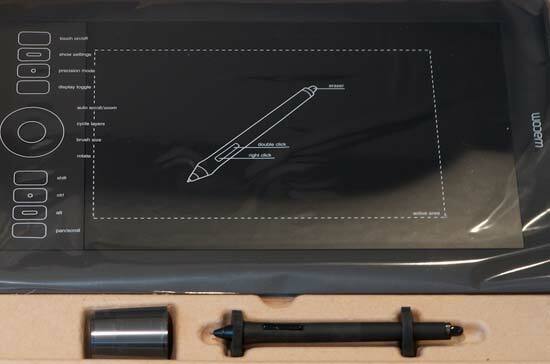 While this isn't anything that is going to affect the way you use the Wacom Intuos 5, it's refreshing to see that the packaging for the tablet is much more eco-friendly than previous versions with less bulk and plastics involved. The tablet itself is wrapped in a cellophane covering that doubles as a guide to the functions of the tablet, something I found useful as a person that tends to ignore getting started booklets as cheating. Setting up the Wacom Intuos5 tablet involves plugging it in via the supplied USB cable and running the installer program. 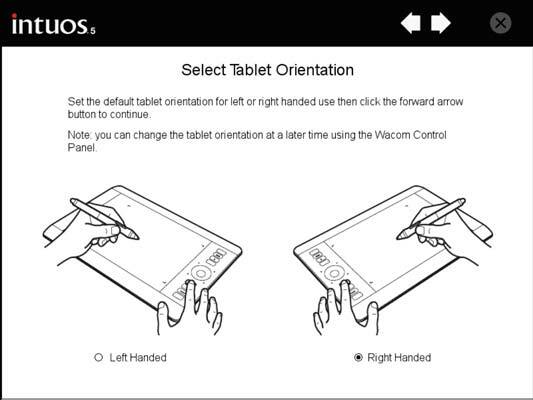 At this point you'll be asked whether to install as left or right handed (you can change this later if you like) (Figure 2). 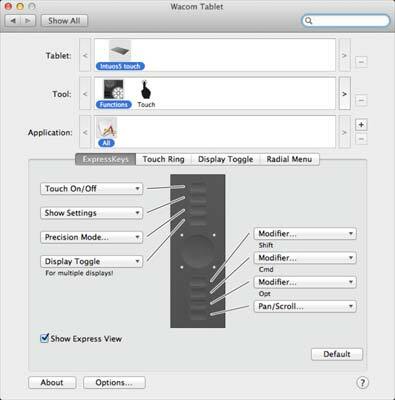 Once setup is complete, all the customization features are available in the Control Panel (Windows) or System Preferences (Mac) (Figure 3). 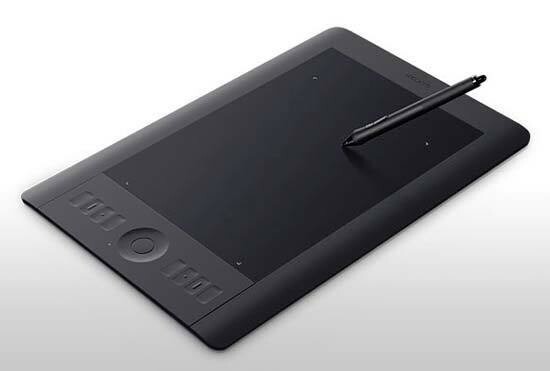 The new Wacom Intuos5 tablet has a much different feel from previous versions. Gone is the smooth glossy finish around the active area of the tablet, replaced with a rubberized surface that is much more comfortable to grip. The buttons themselves are recessed, making them easy to find by feel, and each has a different pattern to help identify which button you're on without looking down. Around the touch ring are 4 lights to indicate which of the four modes you're in - the defaults here are autoscroll/zoom, rotate, cycle layers, and brush size, but they can be set to anything you like, either globally, or by application.